Looking for a moderate hike that delivers you to an amazing place ? 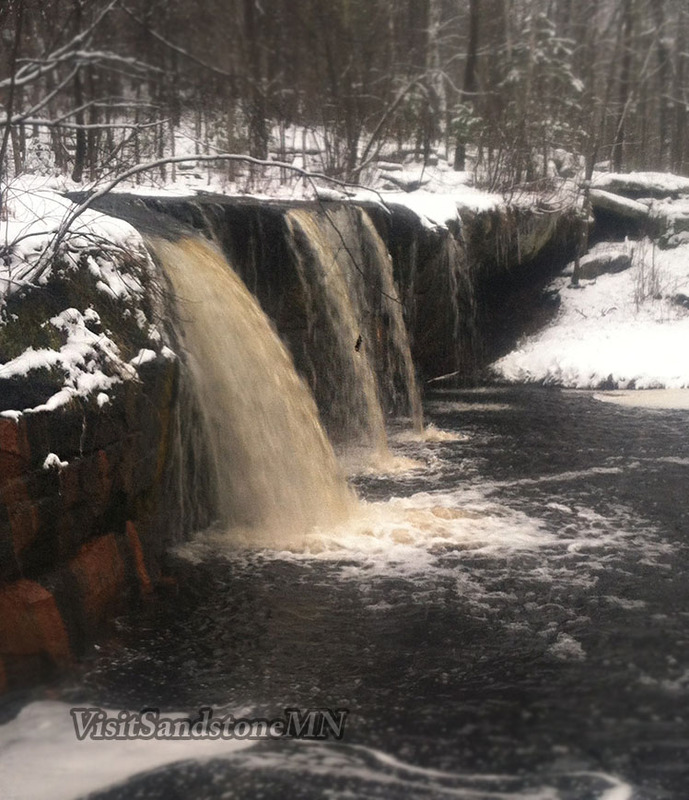 Summer, Winter, Spring and Fall – you won’t be disappointed in the subtle beauty of Wolf Creek Falls. Start your adventure in Robinson Park, head upriver under the train bridge, continue for another 3/4 of mile on an unmarked trail. 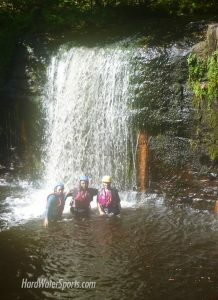 Well worth the effort to get there and a great adventure for families. You can also hike the trails of Banning State Park to gain access to Wolf Creek Falls. Follow signs to the parking lot near the camping area. Follow the “Wolf Creek” trail for .6 miles to the falls. 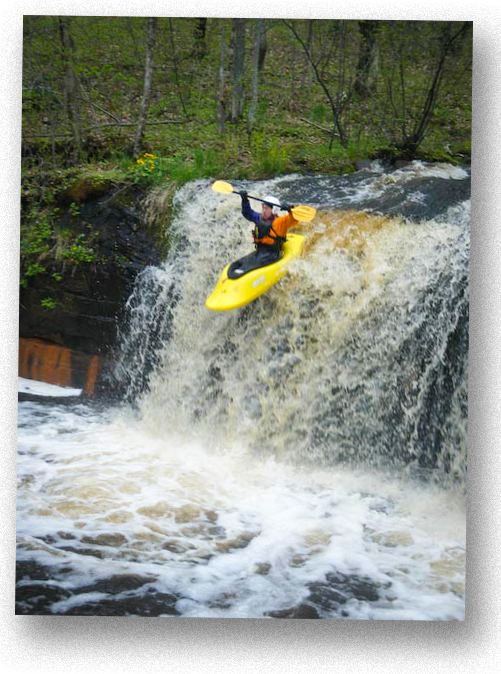 Another option for accessing Wolf Creek Falls is to canoe up river from Robinson Park in Sandstone, MN. By far the most fun way to get to Wolf Creek Falls is to raft. 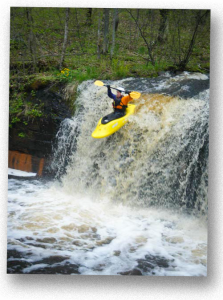 Local whitewater rafting company, Hard Water Sports provides Kettle River rafting tours with a stop at the falls. 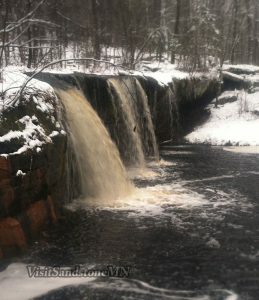 However you decide to get to Wolf Creek Falls you surely won’t be disappointed.